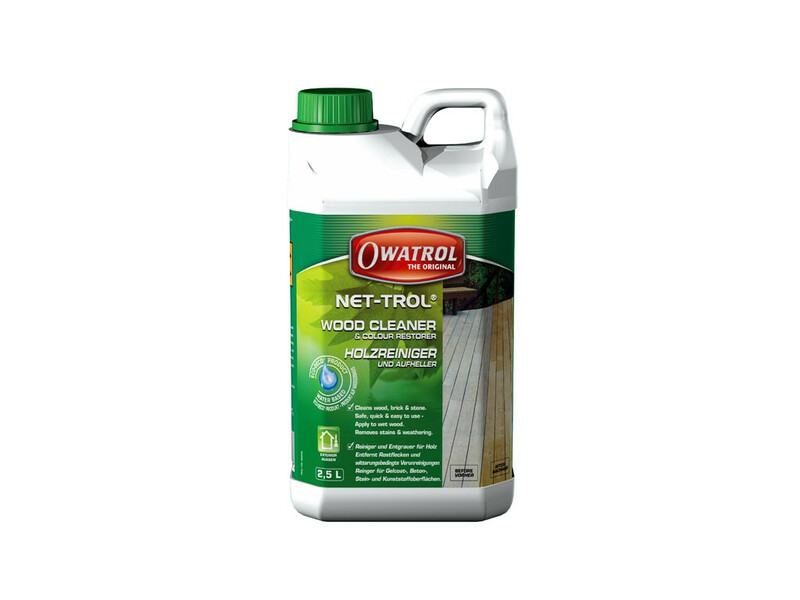 Owatrol Net-Trol is a wood cleaner, neutraliser and colour restorer. 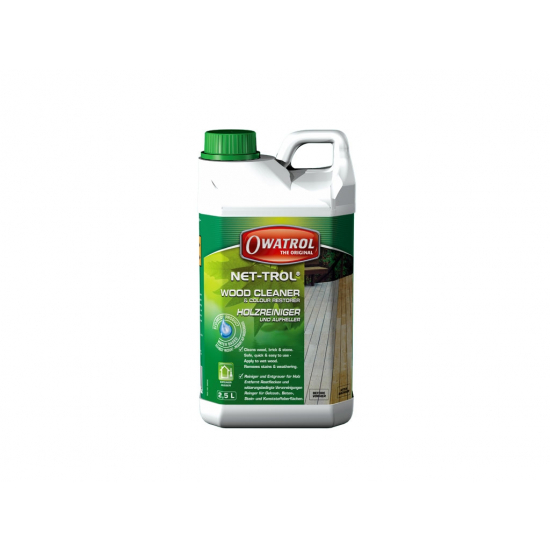 Net-Trol is a powerful wood cleaner & brightener which restores greyed and weathered wood to its natural colour without damaging the wood’s fibres. 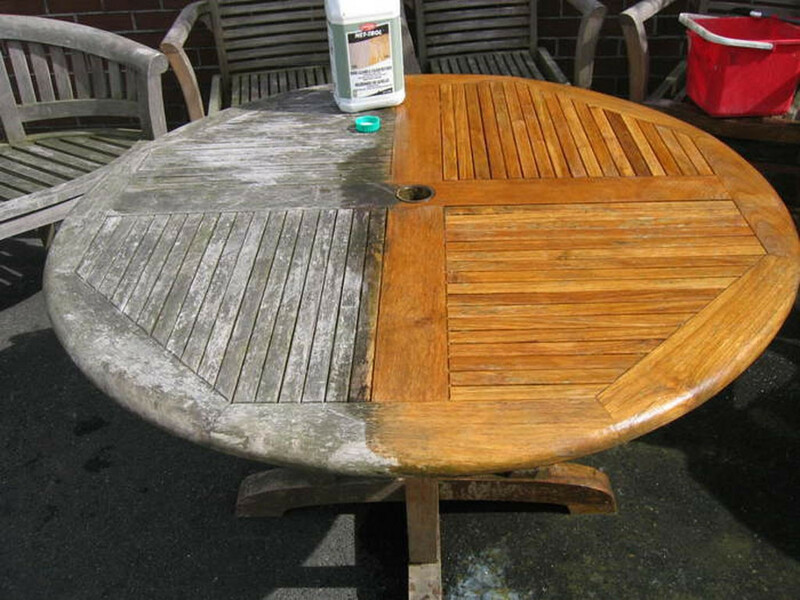 Net-Trol is quick to act and can restore the original colour of your wood in as little as 15 minutes with no sanding. Net-Trol removes both surface and ground dirt leaving the wood looking bright and vibrant. Net-Trol is biodegradable and does not contain solvents or bleach and is not harmful to plants or shrubs. Net-Trol can also be used to restore the lustre to faded plastics dulled by weathering, and also be used to remove rust stains and to clean dis-coloured stone and cement. Net-Trol is safe to use on all exterior woods and is also excellent as a de-greaser for use on tropical hardwoods. Net-Trol can also remove stains caused by tannin bleed and will remove all traces of weathering caused by mildew, UV Rays and pollution. It will also neutralise wood which have been stripped.